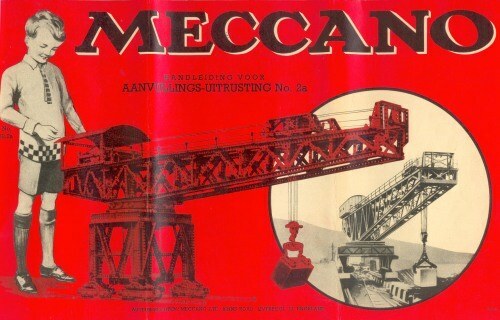 Vintage 1952 Meccano Manual for Accessory Outfit # 2a. Scarce Dutch version, print # 13/1052/5 / No. 52.2a, printed in October 1952 in a total edition of 5,000 pcs. Excellent condition for age but has been folded twice to fit the box.